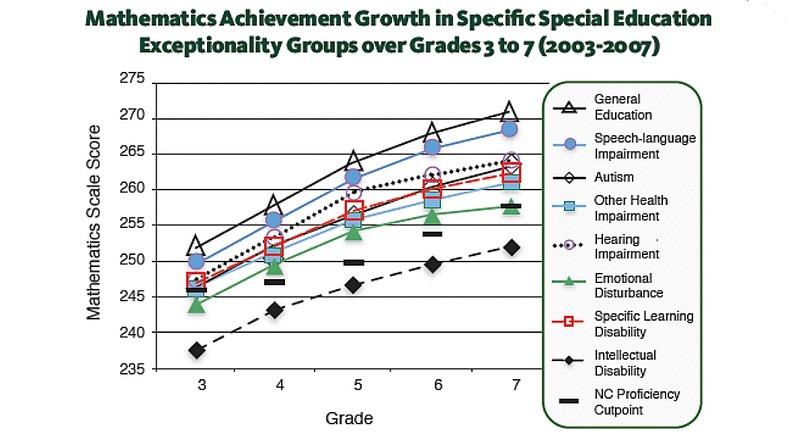 The purpose of the NCAASE (The Center) is to develop and test various approaches for measuring the achievement growth of students with and without disabilities. 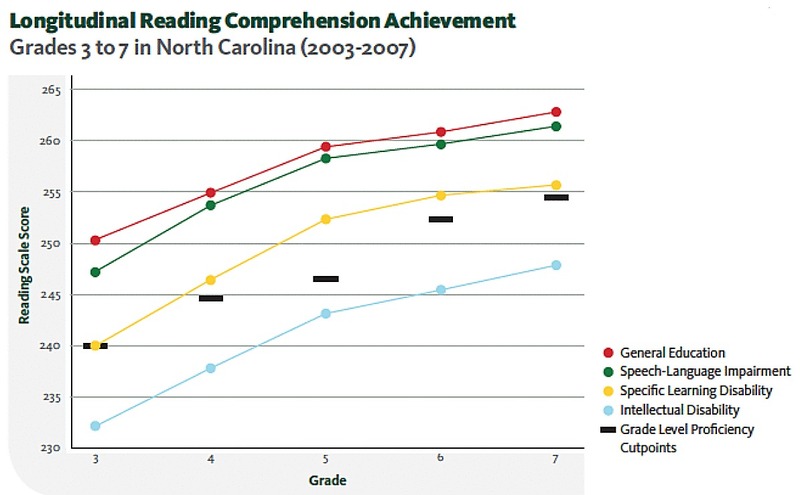 The Center’s focused program of research on reading and mathematics achievement growth is based on existing sets of longitudinal achievement data for students with and without disabilities from North Carolina, Arizona, Oregon, and Pennsylvania. 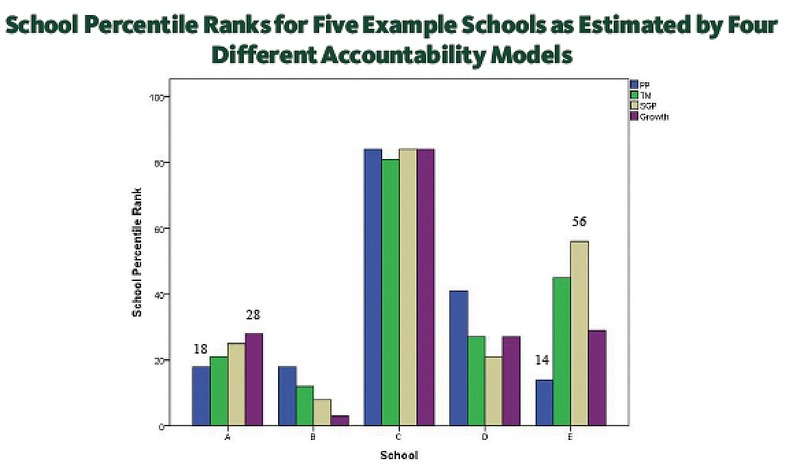 To help examine the accountability purposes for which states are using their assessment data, NCAASE partners with measurement and statistics experts, assessment and special education leaders in academia and in state departments of education, lead psychometricians, and a National Advisory Panel. NCAASE has developed a series of research summaries entitled "Did You Know?" These one-page documents are intended to provide brief reader-friendly summaries of recent work by Center researchers. 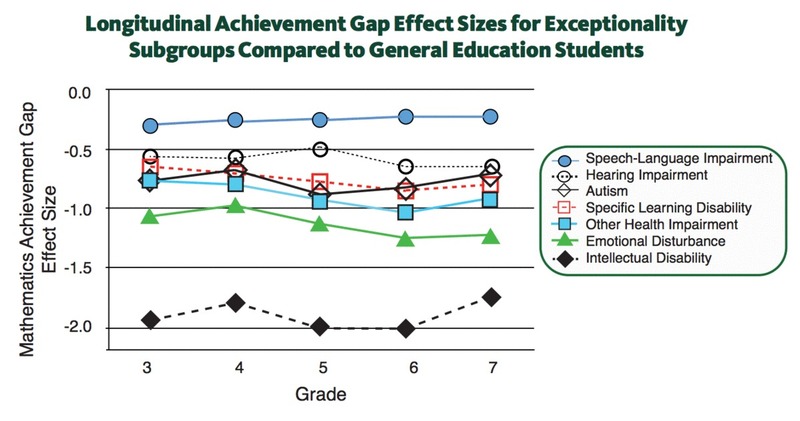 Our most recent DYK #15 shows that students with learning disabilities (LD) who are also English learners (EL) have a much larger achievement gap than either group considered separately..
We will be periodically releasing additional DYKs over the next few months. 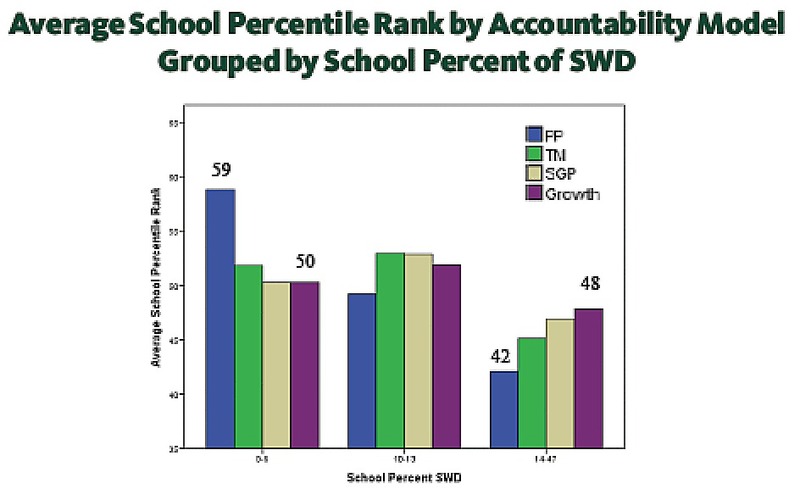 Please check back soon as we regulary add to our DYK collection.